Japanese dramas have a wide variety of genres and themes that it's almost impossible not to find something you'll like. There is something for everyone, including viewers who are not familiar with the Japanese culture. Drama, action, romance, comedy, horror, slice of life, sci-fi, crime - you name it, they have it. Some dramas have a very specific theme and have little storyline, which is the kind I've been fascinated with recently. Here, I have put together a short list of unique Japanese dramas with very specific themes. I find these dramas unique because they are something I've never seen in my own country. If you are sick of watching shows with similar stories, you can try some of the dramas listed here. If you know other interesting Japanese dramas, feel free to comment below! 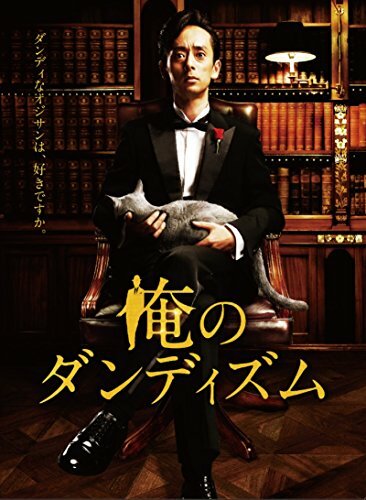 This drama is based on a popular manga series about a lone foodie named Inogashira Goro. There's nothing really unique about food dramas (there are actually a bunch of Japanese food dramas), but the reason it made to the list is because 70% of the episode is just Goro-san savouring his food. There is little storyline. In each episode, the pattern is always like this: Goro-san meets someone for business, he gets hungry, he chooses a restaurant, he eats, he is happy. It's interesting that all the restaurants that Goro visits are real. We get a glimpse of the Japanese restaurant culture. We get to see our hero trying out different dishes, of which most of them we haven't seen before. I always end up getting hungry after watching him eat. At the end of each episode, the address of the restaurant is flashed on the screen. We also get to see the manga creator going to the same restaurants and eating different set of dishes. 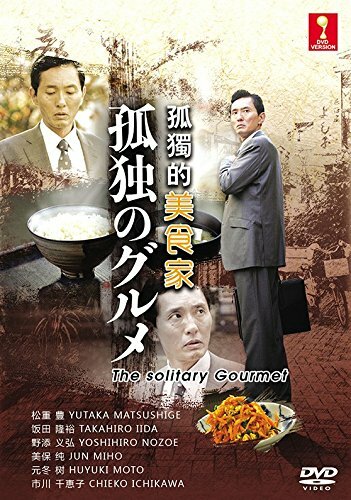 Kodoku no Gurume is a light-hearted drama that is strangely entertaining to watch even with Goro just eating most of the time. Ramen Daisuki Koizumi-san is another food drama based on manga. Koisumi-san is a beautiful transfer student who doesn't interact with anyone. She spends most of her time listening to music. Yu, her classmate, likes beautiful girls. When she sees Koizumi queueing at a ramen shop, it piques her curiosity and decides to follow her. Yu learns that Koizumi is a ramen master, and her cold facade entirely changes when she eats ramen. After slurping the last drop of ramen soup, Koizumi would look up and give a big strange smile with an equally strange sigh of satisfaction. Yu is determined to see that smile again, so she starts following her since then. In the process, Yu starts enjoying ramen too. Dandy is a story about Ichiro, a recently promoted employee who overhears a conversation among his subordinates, including the new girl he has a crush on. He learns that his crush likes dandy men. According to Wikipedia, dandy is "a man who places particular importance upon physical appearance, refined language, and leisurely hobbies, pursued with the appearance of nonchalance in a cult of self." From then on, Ichiro is determined to become dandy to impress the new girl. While having dinner in a restaurant, Ichiro sees an advertisement of a mysterious store selling "dandy" items. Needless to say, he takes a look at the store. The store is not a typical one. In fact, Ichiro seems to be the only customer. A woman appears from behind the counter and introduces very "dandy" yet expensive items to Ichiro. Her introduction is always lengthy and in-depth, and covers more than half of the episode. It's quite different from most J-dramas and surprisingly, quite educational. Each episode is about a different item. Every episode is like this: Ichiro feels insecure about a certain not-so-dandy possession, he visits the mysterious store, the woman introduces her products, he picks one item and burns a hole in his wallet, he shows off his new acquisition the next day, his crush notices it and comments how dandy he is, and he makes a happy dance when the crush leaves. I've watched all of the shows mentioned in your article. The first two from the list felt bizarre to me (at least at first), but I actually enjoyed them very much. In fact, food shows have become one of my favorite genres. Yup, me too. I was expecting for a story, but after watching the next few episodes, I realized that it would just be eating for the rest of the show. It was unexpectedly entertaining to watch. Hmm.... When I read this I was thinking "how could they make a whole series on such a limited topic?" Then I thought about some North American series like Duck Dynasty and Container Wars and your Japanese ones actually sound better! I guess shows about food are always interesting, though I think these series won't work if not for the great cast, so props to the actors.